If you’re tired of wasting time and money on roof repairs, steel roofing could very well be your answer. Unlike asphalt shingles and wood shakes, metal roofs last for decades and rarely, if ever, need repairing. This makes metal roofing a wise investment – one of the smartest you can make! No more replacing warped wood or rotting asphalt. Your steel roof will remain in excellent condition for life – even if it’s exposed to destructive weather, gusty winds, and unrelenting sun. No more wasting time with roof maintenance. You’ll be able to relax, knowing that your metal roof’s durable Kynar 500 finish is highly resistant to fading and will retain its new look for decades to come. No more repairing or replacing lost shingles. You’ll rest easy knowing your ABC steel roof is screw-secured into place. It won’t blow off or buckle in adverse weather. Some ABC Franchises also offer seamless steel roofing. 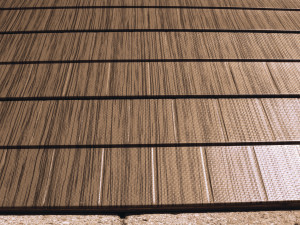 This exclusive product looks like shingles, but is fabricated from durable ribbons of lifetime seamless steel! Lower monthly energy bills. ABC steel roofing is remarkably energy efficient, and ENERGY-STAR certified. It reflects the sun’s radiant heat away from your home, making it easier – and less costly – for you to regulate the indoor temperature without overtaxing your HVAC system. The hardest part is choosing your favorite style and color from our vast selection of roofing finishes. Solid colors. Enhanced blends. HD (high definition) colors. But once your selection is made, we take care of the rest. And the comprehensive lifetime warranty on your steel roof, ensures your investment is fully protected! Get more information about this amazing steel roof by contacting ABC Seamless today.